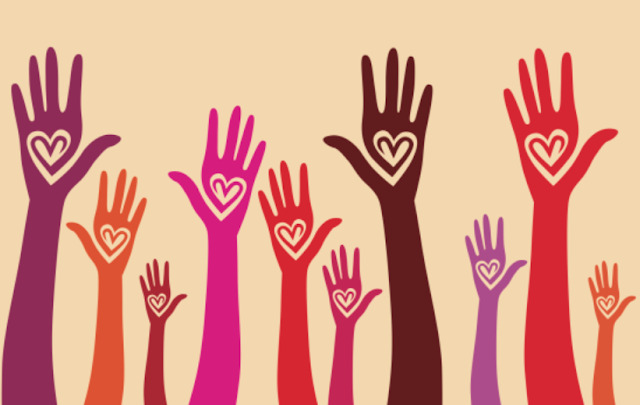 This post is by Kelli Kelley, founder and CEO of the nonprofit Hand To Hold. After delivering her son Jackson at 24 weeks, Kelli felt alone and overwhelmed, despite being surrounded by family and friends. She went on to start this peer support network for NICU and bereaved families. Resources include in- hospital programs, articles and blogs, podcasts, social networks, and trained peer mentors. All were designed with the emotional, physical, and social needs of the whole NICU family, including siblings and grandparents. Here, she shares six things never to say to NICU parents. Parents who have not had direct experience with a traumatic birth or a newborn’s hospital stay can struggle with knowing how to act, what to say and what to do. Here’s a helpful list to guide you when someone in your life unexpectedly delivers early or has a newborn in the hospital for other reasons. Steer clear of statements that could be perceived as placing blame. In many cases, the medical reasons for an early birth or specific diagnosis are unclear. It’s as confusing to a parent as it is to you. Educate yourself about the common questions that you want to ask most. It’s tough when a baby comes early or has complications. There’s usually not a card for that at the Hallmark store. Acknowledge the birth of the baby and think of ways to help them welcome baby to the world. A small toy or stuffed animal to welcome their child, a card or even a thoughtful preemie outfit when they are big enough can be a sweet response. 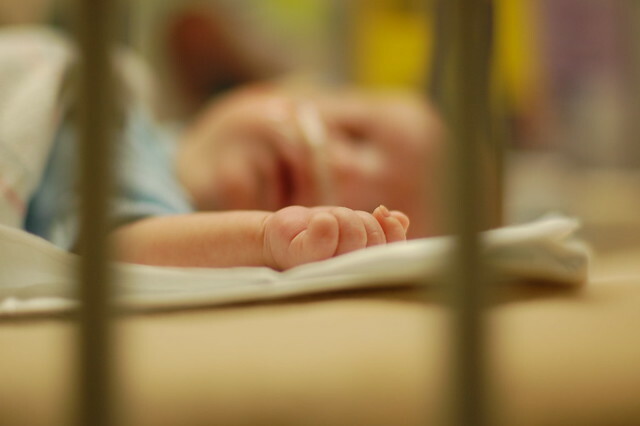 Comments suggesting there is a “silver lining” to a NICU stay can be insulting. These statements range from “at least you can sleep while the baby is in the NICU,” to “at least you didn’t have to endure the discomfort of the last trimester.” The truth is, NICU moms still have to get up at least every three hours to pump, and grieving the pregnancy you didn’t get to finish is a very real thing. NICU moms may be experiencing sadness and may blame themselves for their baby’s hospital stay. Despite a child’s hospitalization, bills must be paid, pets must be fed and older siblings must be cared for. Consider specific ways you can help such as offering gift cards for gas, watching older siblings, arranging lawn care or housekeeping or organizing a meal calendar or a care basket. What not to say: “When will your baby…?" ”Whether you’re asking when they will come home or when they’re expected to catch up to their peers, avoid comparisons at all costs. It’s important to know that NICU babies grow at their own rate and reach milestones on their own time. Each is unique and not the same for term babies. Ask how they and their baby are doing, then allow them to respond if they wish. Don’t compare, just listen. It’s okay if you don’t know what to say. It can be jarring to see a very tiny baby hooked up to medical equipment for the first time. Consider carefully what you say. Skip references to baby’s size, as babies born early won’t look the same as newborns. Focus on the positives. Point out family resemblances, expressive eyes or other defining characteristics. Parents who bring home a medically fragile child have often been given special instructions to avoid crowds and public gatherings to give their baby time to build their immunity. They may ask you to wash your hands more than most, ask you to stay away if you are ill, or they may be absent from social gatherings for an extended time. It’s important to respect their boundaries. Having a child in the NICU for a short or long stint can be isolating. Emails, text messages and other supportive messages can be so uplifting. Checking in and giving the family the freedom to respond in their own time is always a welcome sentiment. This is a common statement among those who don’t know what to say, but it can be quite hurtful. Instead acknowledge the pain or sadness the family may be experiencing. Emotions can be up and down in the same day. Give families space to express their feelings. The NICU is not called an emotional roller coaster for nothing. Friends and family members in the NICU need your support more than ever, and it’s not uncommon to not know what to say. The most important thing to remember is they just need to know you are there and willing to listen if they need a shoulder to lean on. "fearless and creative"; and her youngest, "observant, sweet and athletic." The school was founded as a legacy for Eliza, who passed away while it was in development. Says Tanya, "We decided she had taught us too much and there were too many other children out there who needed opportunities like this school to stop and that we needed to open it." Every parent has some trepidation about sending their child off to kindergarten. It’s a new place, new teachers, for some, the first time they’ve been away from home that long. For me, sending my daughter to kindergarten was terrifying. Eliza was born with cerebral palsy after suffering a stroke in utero. 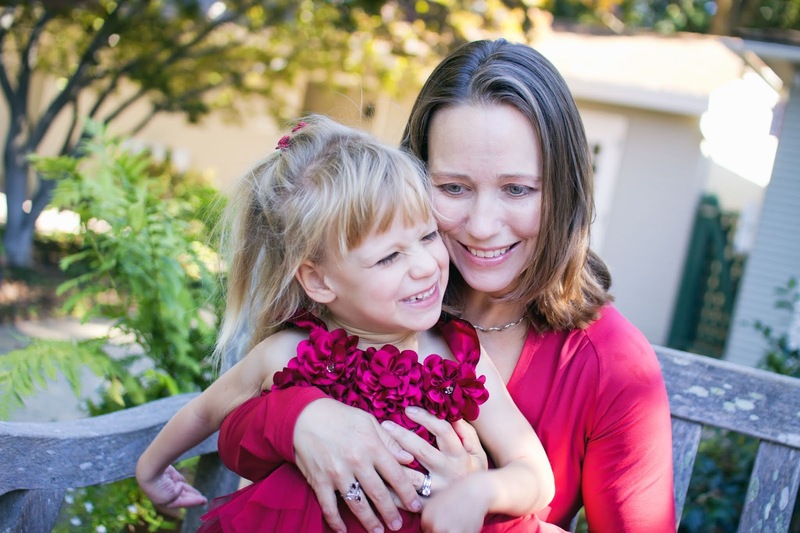 By the time she was five, we had worked with experts in California, Philadelphia, Los Angeles, Canada, Hungary and Austria to work to find the best therapies to help her recover. We knew the brain has plasticity and we knew that every day she got older, tasks got harder to learn. We felt a sense of urgency to find the right mix for her brain to reach its potential. When it came time to send her to school, she hadn’t been away from us for more than a couple of hours at a time, with someone who was carefully chosen to work with her. She wasn’t walking, or sitting, on her own, she couldn’t talk and didn’t have a communication device to express herself. I was sending my baby to go spend the day with strangers, called school, and I was scared and unsure, but I also knew that she needed to grow and learn. When you send a “typical” child to school, you register, you provide some paperwork and documentation and you show up on the first day and meet their teachers, give your child a kiss and hope they have fun. When you send a child with disabilities to school, there are meetings, lots of meetings, and assessments, lots of assessments, everyone wants to meet, ask her questions and create opinions about what she can do and is capable of. cause-and-effect toys meant for four month olds. She did not. She would yell at them, she would give wrong answers and laugh, she would throw the toys on the floor, because she was five, not four months old. But the expectation was, because that’s what she could easily interact with, it must be what she likes. My daughter, like many kids with disabilities, was cognitively age appropriate. This means that she was of average, or above average intelligence, just like most of the general population. People with physical disabilities are no different than the rest of us, except they have a small injury, usually affecting the basal ganglia of the brain, that affects movement, not intelligence. But that is not our expectation as a society or a school system. child with a disability, more that it provides and education that maximizes the child’s potential. (Rowley; Gregory K V Longview School dist). Yes, this clearly states that they will not give my child the best education possible or one that will maximize her potential, but they will allow her to access the education. This meant she could be present, but they didn't have to guarantee an education. I was furious. Let’s imagine that this was the public school mission for every child. Would this be an acceptable educational standard for our youth? If your answer was “no” and you wouldn’t send your child there, then I ask: “Why is it alright for our children with disabilities?” We should set our expectations higher. 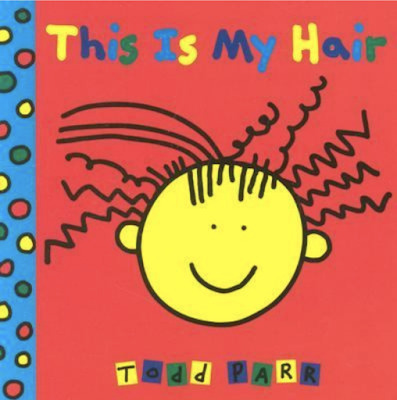 My first experience with this came during the assessment process for her IEP (Individual Education Plan), when she was given baby toys to play with. Our second experience with the expectations gap came in her very first IEP meeting. Before we looked at all of her assessments, they were asking if she should be given until 22 to graduate. We looked for other options, other inclusion schools where Eliza could be with her peers and get the therapeutics she would need to be successful and independent. We looked for a school that would offer her more than a “basic floor of opportunity” but would actively work to help her reach her potential. But we didn't’ find one. So, in August of that year, we sent her to school. And we started the paperwork to launch our own school. What happened was nothing short of amazing, depending on your expectations. Eliza was sweet, observant and social. She loved to play and laugh. She was creative with a great sense of humor, and for all these reasons, she made friends quickly. We were fortunate that they offered her an inclusive experience. She started kindergarten in a typical classroom with typical kids and an aide to support her. I was terrified the kids would make fun of her, be mean to her, not like her; but the opposite happened. 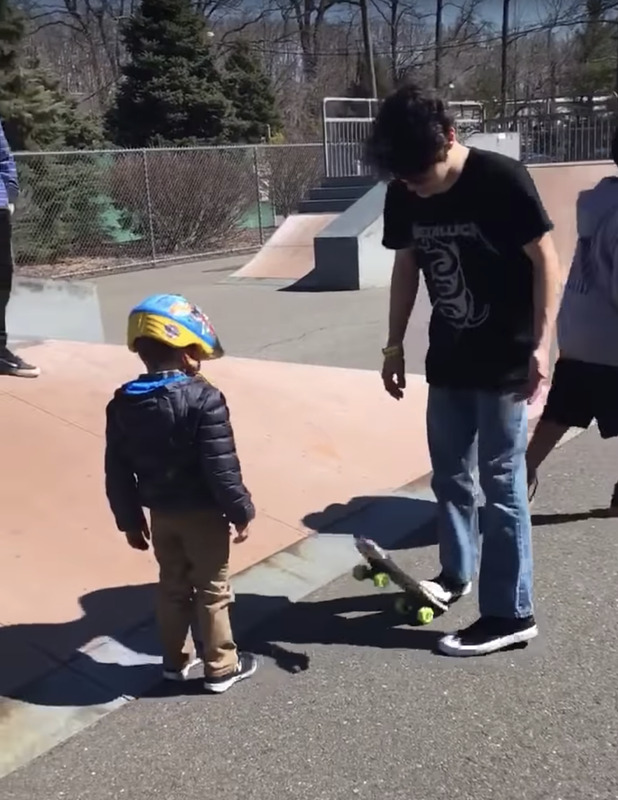 When you have a group of kids who don’t have the same conditioning and pre-conceived notions of disability that adults have, kids just see kids. They learned to play together, they learned to communicate, they had fun. She still had bad days, and she still found ways to tell me about them, but she was being a kid. That didn’t mean she was getting what she needed. At the end of the year, she still didn’t have a way to communicate. Because the school district hadn’t granted my request to train the aide, she didn’t work out and the ended up hiring another one, of my choosing. She was getting limited therapy and being taken out of her regular classes to do it. So now we had a child who already took longer to complete classwork because of her motor challenges and she was getting less time. It was frustrating for her and for me. give them the chance. But I was still facing the battle of the expectations gap. the therapeutic goals, but there were no academic goals written. These were never written because her goals were the same as every other kids in her class: get a good education and go on to college or career or whatever she decided. The team asked about putting her on modified grades. In special education language, modified is different than accessible. take away her chances for success. Now, this may be appropriate for some children. Graduation isn’t possible for everyone, special needs or not. But, she was in the upper level group for math, she was in the upper level group for reading, she was in the top half of her class in all her academics, and they were suggesting taking away the opportunity for a high school diploma. Because of her disabilities. Because, they as a team of specialists and experts, hadn’t figured out how to accurately help her express herself in her two years of school there. Let’s go back one more time. Your typical child is in the top half of their class, performing above average academically. What would you say if the school district thought modified grades were a good option? This is not OK for any child. Often the only person with high expectations for their child is the parent, who advocates relentlessly for support. 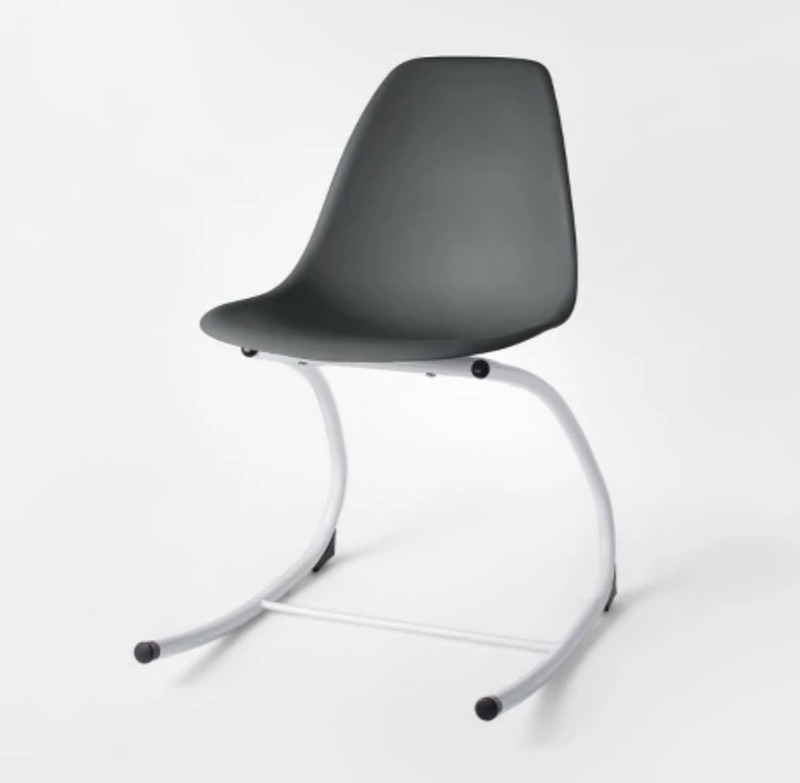 created with universal design elements, to be accessible to all. with what children of all abilities can do. Read more about Up Academy here. I know: Our to-do lists are long. There are never enough hours in the day. We actually need sleep. But there's some big-deal government funding stuff happening that will affect the future of children and adults with disabilities. So here's what you can do: Take the only me-time you can guarantee will happen during the day—bathroom breaks!—and reach out to your reps and voice your concern. Yep, I'm talking potty advocacy. There's even a bot that will basically do it for you, more on that in a bit. First, what's going on: You've probably read all about the the recent proposed cuts to Medicaid and other programs that would affect people with disabilities including independent living programs, respite care and assistive-technology programs. (Here's a good summary.) In yesterday's New York Times Opinion piece by Tom Ridge, chairman of the National Organization on Disability, he waved a red flag about how the cuts would impact people with disabilities seeking employment, already an uphill battle. The entire Office of Disability Employment Policy is at risk of getting shut down, a federal agency that has been key for paving the work road for people with disabilities. In more hopeful news, there's a new bill that would, over time, increase funding for educating students with disabilities. It's called the IDEA (Individuals with Disabilities Education Act) Full Funding Act, and it calls for gradual hikes in federal funding for special education. The government would shoulder 40 percent of the costs, beginning in fiscal year 2029. When IDEA was passed in 1975, Congress was supposed to fork up for 40 percent of the costs to make it happen—but in reality, they only pay 14.7% of it. Rep. Jared Huffman, D-California, introduced the measure. As he said, "Because the federal government has failed to honor its IDEA funding promise, K-12 schools and school districts throughout America have been forced to pay more than their fair share. That means less funding for everything from teacher pay to class size to affording music, art and physical education classes." The bill needs more cosponsors. Here's who's on the list; if you don't see your rep listed, reach out to them. It genuinely only takes a couple of minutes to contact your rep. One easy way: resistbot. You text "resist" to 50409 on text, Messenger or Twitter and it will quickly find your local reps, let you write a message and zap it to them. It will also put through a call. Here's the one I sent to my reps morning...on a bathroom break. Hello. I have a child with disabilities whose future is imperiled by the proposed cuts to Medicare and other programs and services for people with disabilities. Please urge President Trump to restore funding. And sign up as a cosponsor for the IDEA Full Funding Act, which will help fund special education. There. I was done before anyone could bang on the door and ask where their sneakers were or tell me they needed a snack. 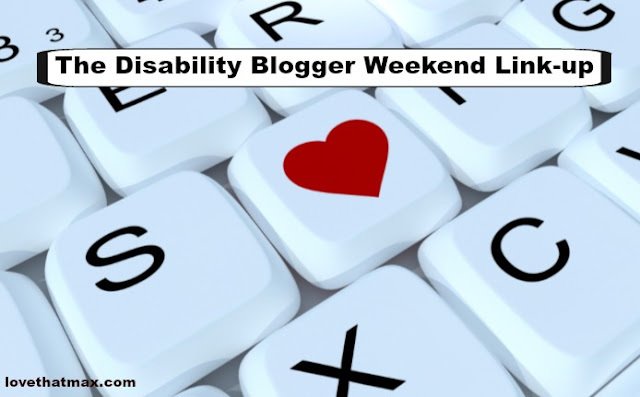 The Disability Blogger Weekend Link-up: Put 'em up! 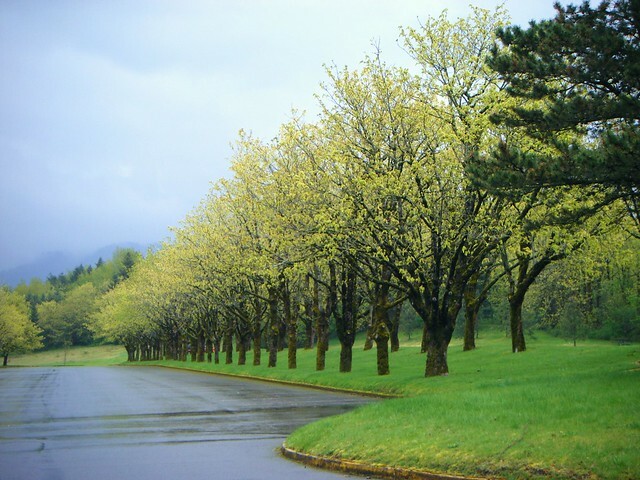 All through winter, Max would point to the leafless trees and say "Ewwww!" What he meant: Living in a cold climate was not for him. California, however, was. And so, when spring finally rolled around and the trees started budding, Max got genuinely excited. Max isn't the only person in the house thrilled by the arrival of leaves. 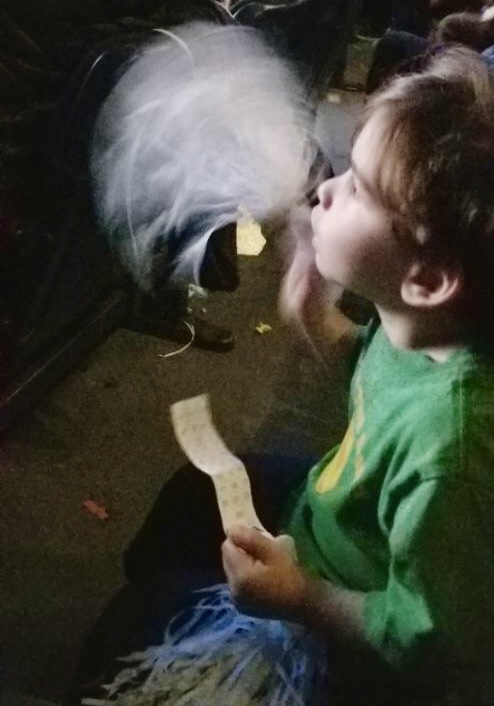 At 3 years old, Ben is full of awe, even for things that don't involve iPhones. When we walking around last weekend, I pointed to shrubs that were starting to turn green and said "Look, the leaves are growing in!" and he let out this adorable giggle, the one reserved for stuff that truly delights him. The other day, Max and I headed out to pick up Ben from daycare. We were at a stoplight when Max's face lit up and he squealed. There was a big tree in a park with little green leaves. As we drove past it, I spotted a sign that said Optimist's Park and suddenly I felt like I was in some sort of Disney movie and bluebirds were about to pop up and start circling around my head. I get just as happy-giddy about the season. Coming home from work at night and seeing which flowers are cropping up on people's lawns is a treat. In the morning, right after I wake up I look outside to see which daffodils have bloomed in our backyard. But it is extra-awesome to see the season through the eyes of my boys, one who's got a tremendous sense of wonder and one who, at age 16, has never lost it. The cherry blossoms came out this week and as Max, Ben and I drove home that afternoon, we played a game of spotting which house had trees with pink blossoms and which had ones with green leaves. Nothing complicated. But we laughed and laughed, and loved spring and life. 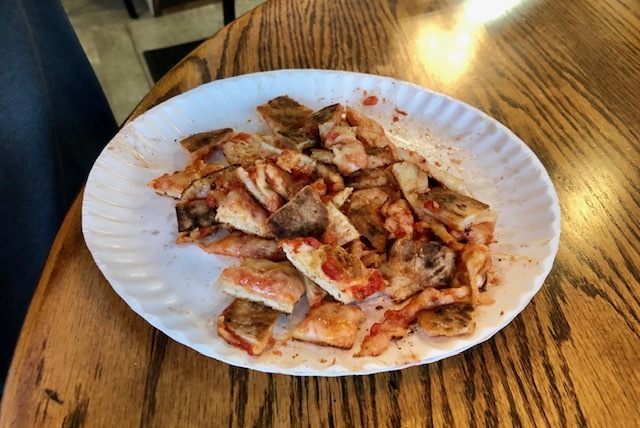 Max and I were out the other day and ordered a couple of slices of pizza. I asked the guy behind the counter to cut them into bite-size pieces. Max speared the bits adeptly and shoveled them into his mouth, hungry teen boy that he is. This is what Dave and I often do when we eat out: We ask to have food prepared so Max can eat it on his own. I could cut up the the pizza myself, of course, but the pizza guy has a pizza cutter and he can quickly do it. It makes my life every so slightly easier, so I ask. That is what I've learned to do over the years: to ask for what Max needs, and for what I need, too. I need you to call me, office receptionist, if the pediatrician is running really late so Max is not sitting around for 45 minutes getting restless (or me, either). I need you to email me weekly, school therapists, to tell me what you're working on with Max so I can do it at home. I need you to put our family in a quiet area, restaurant hostess, so Max won't get upset by the din and maybe we can all enjoy a calm-ish meal. I need you to make my son some rolls, sushi chef, with no seaweed because he can't chew that. I need you to let me know, big-deal specialist doctor, if you have any cancellations because we can't wait five months to see you and OK, I'll just call back tomorrow to check in. Years ago, I revealed here that I asked restaurants to cut up spaghetti for Max, who isn't able to eat the long strands. (This was in the throes of his spaghetti obsession.) Chefs have super-sharp knives, and it's simple enough for them to do. Some people did not take kindly to that; one called me "entitled." And so, I wrote The Spaghetti Manifesto, declaring my right to find ways to make life work for Max and me, too. That's still the way I roll. Someday, soon, I hope Max will make the asks. As parents, we juggle a whole lot with all our children—each one has their own needs. Even if we were fiercely independent before we had kids, even if we do more in a day than we ever dreamed possible (OMG WHAT DID WE DO WITH ALL THAT FREE TIME BEFORE WE HAD KIDS?! ), we learn to ask others for help. Small requests, big requests, all the requests. Pushy? Nope. Just ultimate problem-solvers and road pavers. And we wouldn't have to be if only the world were more accommodating. Why get wheeled into an operating room when you can drive yourself in? That's exactly what's happening at Doctors Medical Center in Modesto, CA, where patients ages 2 to 7 have their choice of a mini black Mercedes or a new pink Volkswagen Beetle. The cars, which can be operated by remote control or by kids, have a stereo and MP3 player, working headlights, backup lights and dash lights, a horn and of course, a seat belt. There are doors, though the cars lack keyless entries, heated seats and navigation systems. But, hey. The idea came from pre-op nurse Kimberly Martinez, RN, who did some research and found the little cars can reduce stress and make surgery less anxiety-ridden (er, so to speak) for all involved. 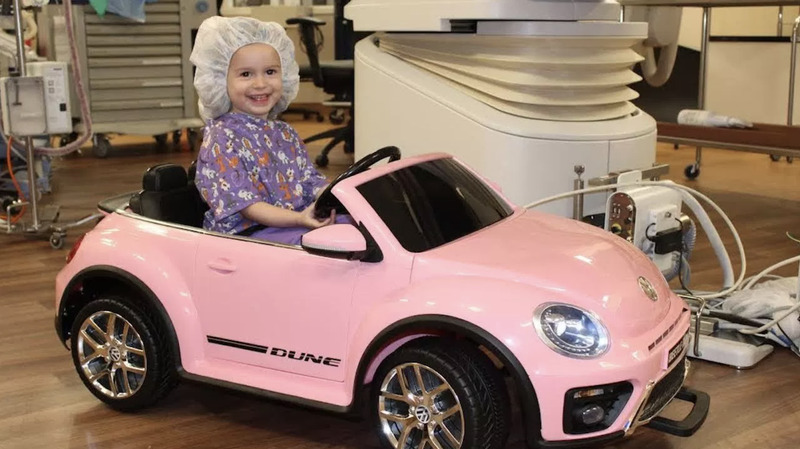 "When the children find out they can go into the operating room in a cool little car, they light up and in most cases their fears melt away," said Martinez. "It can be traumatizing for a young patient to be peeled away from their parents as they head into surgery. This helps both the patient and their parents." Pretty genius. Getting wheeled into an emergency room is terrifying at every age. The cars are fun and put kids in control, a feeling that is utterly lacking when you are lying on a stretcher and hopsital staffers are rolling you into the operating room. These kids are literally steering their situation. No word yet on whether kiddie patients have started offering hospital Uber rides. A few months ago, I discovered that Target was selling sensory-friendly blankets and I got excited. Yesterday, Target announced they were debuting a sensory-friendly collection with close to 20 pieces, and I got even more excited. The more mass this stuff gets, the better. 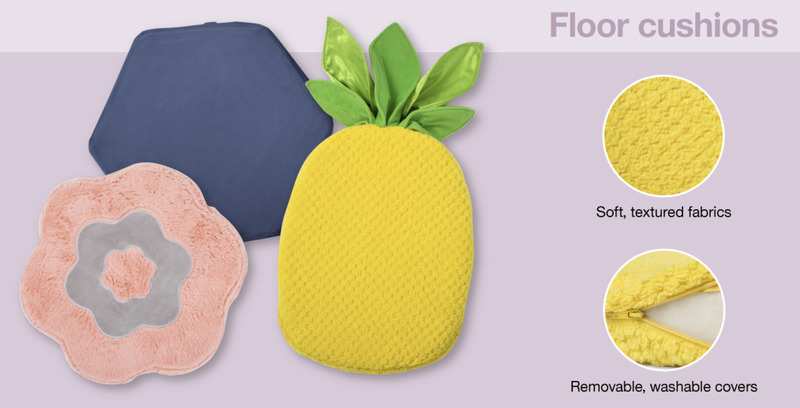 The new Pillowfort sensory-friendly line includes fuzzy floor cushions (above); a foam-filled "crash" pad where kids can jump, roll and relax; a hideaway sensory tent; a cocoon seat made of velvet; and weighted blankets for kids weighing 36 to 64 pounds. The prices are reasonable (it's Target, after all)—but even more so relatively, considering what specialty stores charge for products like these. Fun and Function is one exception; their prices tend to be more reasonable and they have pieces comparable to Target's offerings. To be sure, Target is a company that makes stuff to make money; it's not like they're doing this out of the goodness of their corporate hearts. Still, they were the first major store to offer a sensory-friendly clothing line, spearheaded by the mom of a child with autism. Having the option of walking into a store and picking up a sensory-friendly chair for your child instead of being limited to ordering it online is a big deal. Target's sensory-friendly collection might also come in handy for changing perceptions of children with special needs. Inclusion shouldn't be limited to school, activities and sports. 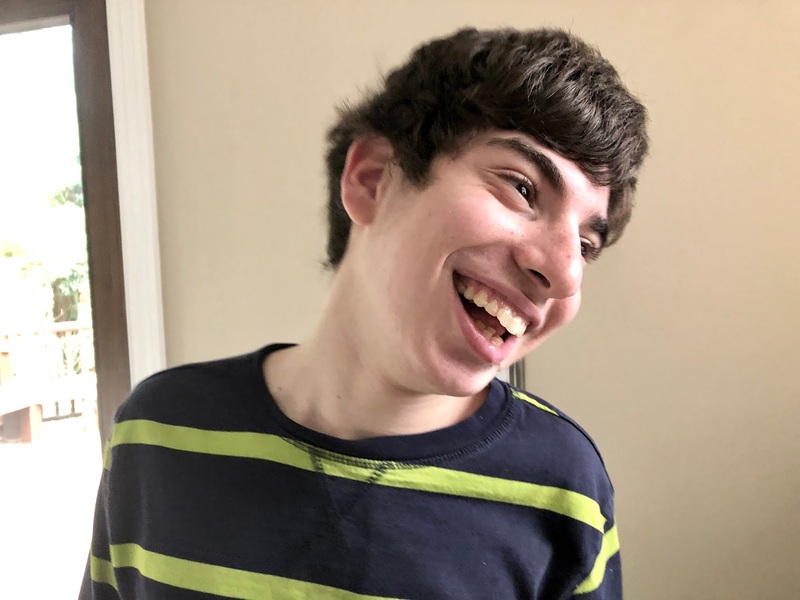 Expanding a children's line to include furniture and gear for children with sensory needs sends the message that they deserve to be included in all parts of life. 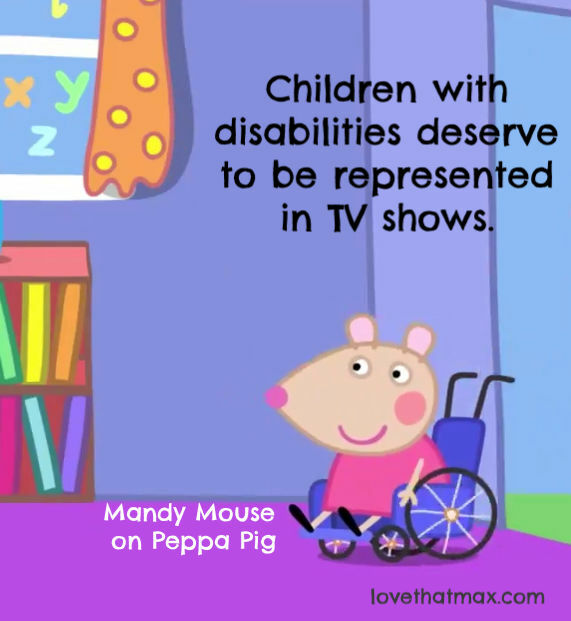 In a world that often doesn't recognize the unique needs of children and adults with disabilities, every bit of inclusion helps. "I was determined from a very young age not to let my wheelchair define me or confine me." That's pro dancer Cheryl Angelelli talking on Good Morning America yesterday. This woman's got talent. At 14, she was a competitive swimmer who hit her head on the bottom of the pool after a dive, sustained a spinal cord injury and became a quadriplegic. In 1998, she returned to competitive swimming and went on to win bronze, silver and gold medals at the Paralympic Games and in other competitions. In 2014, Cheryl retired from pro swimming and started competitive wheelchair dancing. She and her dance partner, Tamerlan Gadirov, have been ranked seventh in the world for wheelchair ballroom dancing. Cheryl works as a marketing manager for DMC Rehabilitation Institute in Michigan. 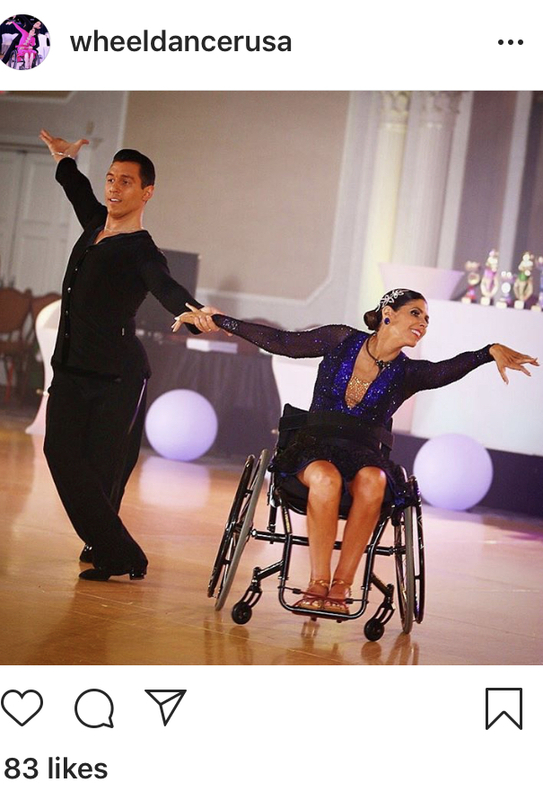 She's also the founder of Dance Mobility, a free monthly wheelchair dance program at Fred Astaire Studio in Michigan. I read that the two are renowned for their rendition of Dirty Dancing, so I looked it up. And just, wow. Watch the video. It could make you rethink your idea of what a "dancer" is. There's grace, passion and real connection, like the best ballroom dancers have, along with new techniques and moves. It just might change your idea of disability and ability, too. 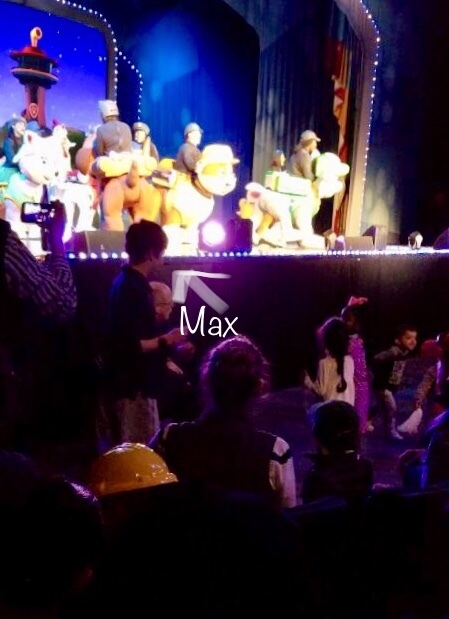 Yesterday was Max's annual IEP (Individualized Education Program). Fourteen years of doing them makes me a bona fide pro. I know that plan Team Max decides on is not the end-all-and-be-all of his school year because they can always be amended. I expect to hear Good Things about Max's progress. Still, I'm always anxious. Assessing and reflecting on Max's needs is a lot to digest. I always ask to for a draft of the IEP ahead of time, so I can process it and make requests. This year, I asked for a few more specific goals for occupational therapy, and emphasized that Max needed additional support with math, including homework that was more at his level. I'm lucky that Max is at a school where his teachers and therapists truly want him to achieve his best. I'm also lucky that yesterday, his SKIL teacher started the discussion (Max came in later). 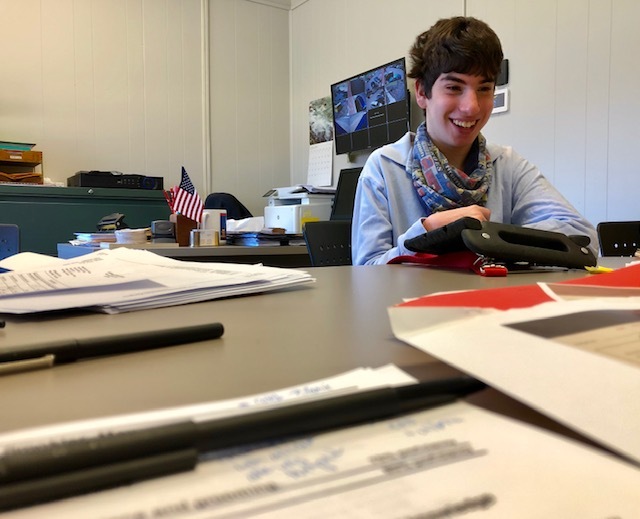 SKIL stands for Seeking Knowledge for Independent Living, and it's the class where Max is exploring different types of tasks that could someday lead to a job. "He's just a nice young man to be around," she said, mentioning how pleasant Max was. She also noted that he had fierce determination, and would try again and again to get a task right. The news was that he was doing a pretty great job of copying and collating, and checking off what had been delivered to classrooms. He sometimes struggled to hold a clipboard and write on it, but he refused help with that and basically everything, insisting that he wanted to do it himself. The principal jumped in to tell a story about the time he spotted Max shooting hoops during an evening program. Max kept going and going, missing the basket. He suggested that Max take a break so his arms wouldn't get tired. But, nope—Max kept at it until he scored. The SKIL teacher knows that I have a fair amount of anxiety about what the future holds for Max, and the type of work he might someday do. And she looked at me and said, in the most reassuring way, "You don't have anything to worry about." She noted that Max would eventually find a job match that would be right for him. His sunniness and determination would serve him well. This woman, who has decades of experience, had all the confidence that Max would find his groove. Now, I know logically that things will work out for Max one way or the other, as they always have. And I am fully aware that he has strengths that would be an asset for many types of employment. "You don't have anything to worry about." I really just needed to hear that. She congratulated me on parenting Max right. And I was all, "This is how Max has always been. I can't take credit." I felt happy for the rest of the IEP, even though a few bits still need to be worked out. And I will, of course, continue to have the occasional freakout about Max's future. But those words will be with me.